Obviously I had to start with the lady who inspired this post – Miranda Kerr. Every inch of the ex-Victoria’s Secret Angel was covered up in this satin Dior Haute Couture gown and of course she still looked breath taking. The statement headpiece may divide opinions but I personally think it adds to the timeless, princess feel. Poppy wore a custom Chanel gown for her wedding to James Cook. With an almost loose fitting, sheer skirt and floral detailing, the gown seemed to perfectly suit her quirky style and Poppy looked as chic as ever, with just a tiny hint of boho bride. The internet went crazy for Allison’s modern glamour bridal look. She looked incredible in her Oscar de la Renta dress, featuring sheer sleeves and neckline and delicate hand-embroidered lace overlay. 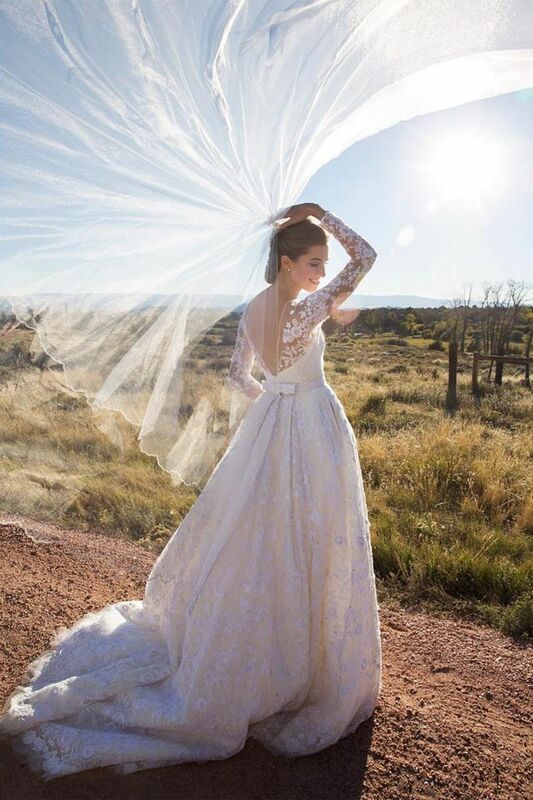 We also have to mention the amazing veil that made for this unforgettable picture. Not just because she pretty much has to be in every fashion round-up ever, but because she looked amazing, and we wish we could pull off her relaxed style. The cashmere sweater, tulle skirt and shorts combination is a look we’re certain only Olivia could get away with. 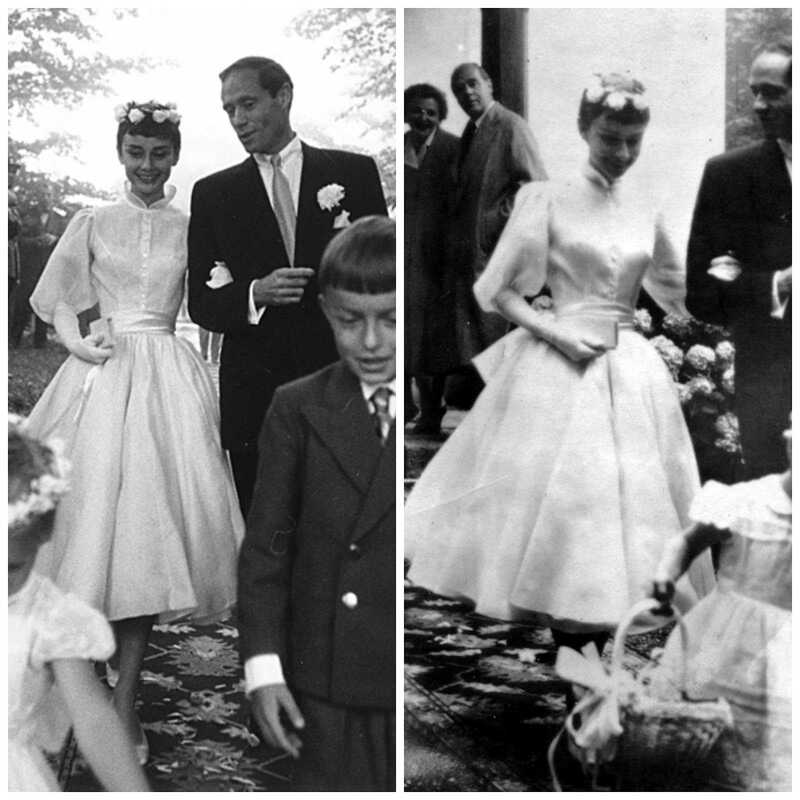 Now, none of the Avant team were around for either of Audrey Hepburn’s weddings, but we can definitely still appreciate this amazing Balmain number from her wedding to Mel Ferrer in 1954. And yes, that is the same Balmain we now associate with sparkle and the Kardashian/Jenners. This A-line tea length dress has a lot of quirky features (stand-up peter pan collar, ball gown sleeves and elbow-length gloves) that don’t sound like they should work, but, honestly, I think Audrey looks ridiculously cute and sophisticated at the same time. 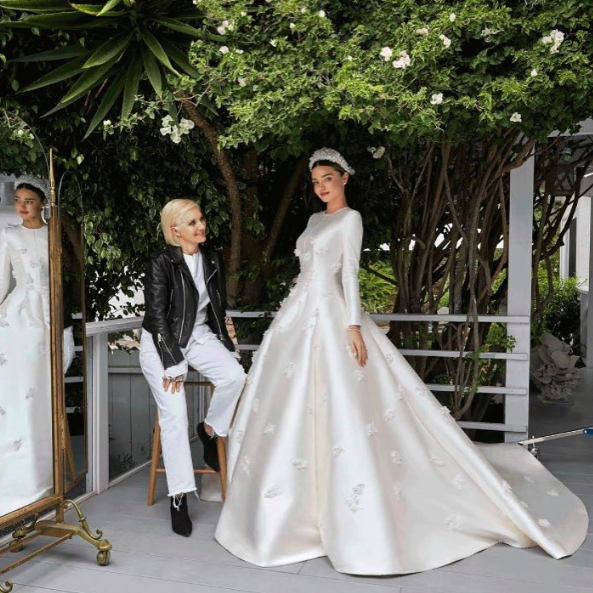 It’s safe to say that we love a celebrity wedding in this industry, and we can’t wait to see what’s in store for us from the recently engaged, super stylish, Chiara Ferragni, Pixie Lott and FKA twigs. Watch this space for more wedding dress obsessing.